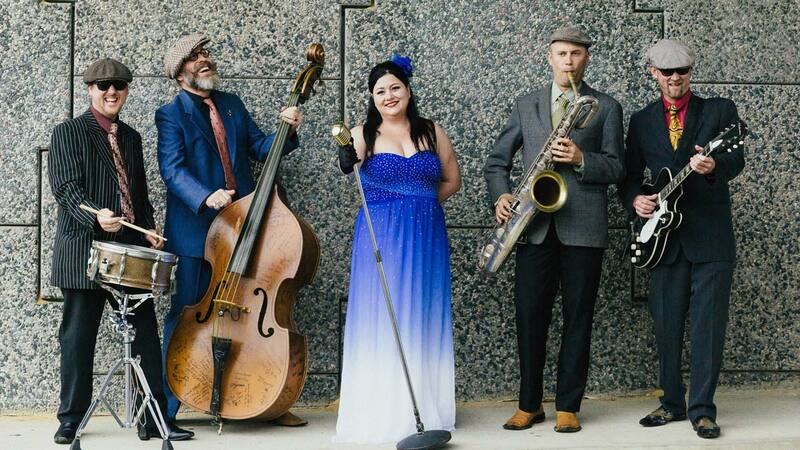 Those Wild West Coast Hipsters Of The Blues – The Vibrolators – are back, this time with a special appearance by the wonderful Miss Peta Lee. Miss Peta Lee is WA’s premier exponent of the raw Rhythm and Blues vocal styles pioneered by many female singers in the 1940s and 50s. The Vibrolators first appeared on the national touring circuit in 1997 and throughout the last two decades have taken their quirky 1950’s flavoured Blues and RnB to all corners of the country. It’s no wonder they have become one of Australia’s much loved blues bands having performing in all major cities and at most national blues festivals. The Vibrolators have four CD releases under their belt with the latest “The Vibrolators featuring Miss Peta Lee” launched in May this year. The band celebrates its 20th anniversary in January 2017 with all original members still on board … no mean feat in this business! If seriously swinging grooves and a sultry, sassy RnB vocal floats your boat, well … you are on the right track with The Vibrolators featuring Miss Peta Lee … these Perth boys and girls are yet again ready to take you for an exhilarating rollercoaster ride of all things Blue.